Nancy Bates is the artist to watch in 2018, launching her highly anticipated debut album, 'For Your Love' in July, following a single release of the same name, in February. 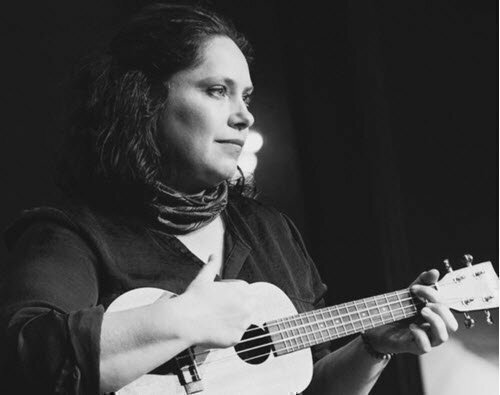 Three years touring with Archie Roach as backing vocalist, guitarist, and support act has influenced her song writing, fostering a deep maturity in her voice, and her storytelling. Roach considers Nancy Bates to be one of the most gifted emerging singer-songwriters in Australia today.Few artists have the courage to be as vulnerable, and authentic in performing, as Nancy Bates. She ‘empties her cup’ twice for her audience….and they walk away overflowing. FOR YOUR LOVE has been lovingly produced by John Baker (The Baker Suite) engineered by Chris Parkinson (The Yearlings), and features some of South Australia’s most extraordinary musicians. John Baker, Gayle Buckby, Enrico Moreno, Julian Ferraretto, Fabian Hevia, John Aue, Snooks La Vie, and the fabulous Vonda Last. Patiently sculptured, Bates' original compositions invite us into her heart, and like a mirror, those deep dived words, and soulful voice, reveal the listener to themselves.This album is a journey along the spectrum of human emotion, drawing influence from the sounds of The Bakers Suite’s Gayle Buckby on accordion, and John’s guitar gently ‘weeping his virtuosity’. FOR YOU LOVE is a predominantly acoustic album, sophisticated and elegant, warm and emotive. 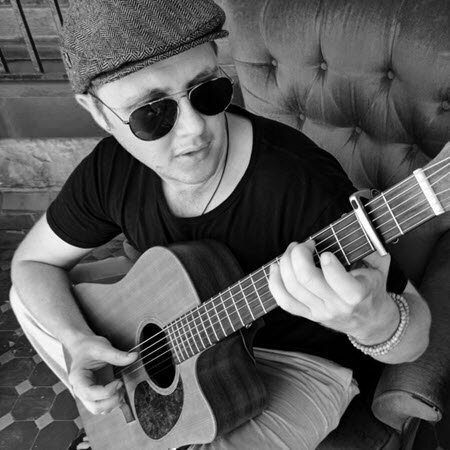 Corey Theatre is a singer songwriter who calls Adelaide home. Hailing from Western Victoria this Gunditjmara-Belgian artist’s music forms an important voice on the Australian music scene. Using catchy melodies Corey tells tales of Country, love, political injustices and the merits of taking a laid back approach to life. His EP Let it Fade is a snippet sized sample of his eclectic style and he is currently working on his debut album Ngathuk Ngalina a collaborative journey of musical expression and language revival. Drawing on community knowledge and historical documents Corey is using his music as medium to revive the Gunditjmara language, a tongue that has not been spoken fluently for close to a hundred years. He also plays an active role in aiding in the revival of the local Kaurna language; writing and performing songs in Kaurna, that have featured in the Keep it Corka kids TV show pilot and the Pirltawardli online language lessons. In 2013 Corey won the first Australia’s got language talent competition for the performance of his song Ngathuk Ngalina. He has performed with artists such as Kutcha Edwards and Glen Skuthorpe and his music has been featured on NITV and in film.